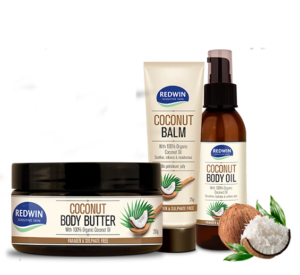 Redwin PERFECT NATURALS Coconut Range is a new generation of natural skin care formulated around the nutritional benefits of Superfoods and contains no nasties*. Superfoods are nutrient-dense ingredients that are especially beneficial not only for skin health but also for overall health & well-being. All products are Australian Made, Cruelty Free and 100% Vegan. Our products contain 100% Certified Organic Coconut Oil.